We are in for a rough evening. 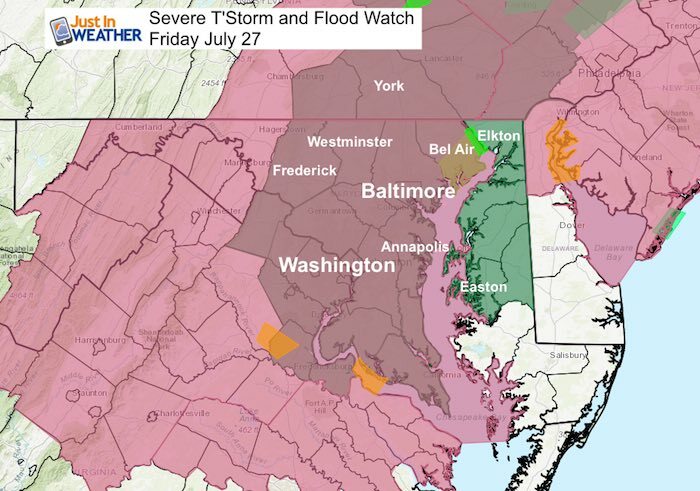 A Severe Thunderstorm Watch has been issued for this evening on top of a Flash Flood Watch past midnight. 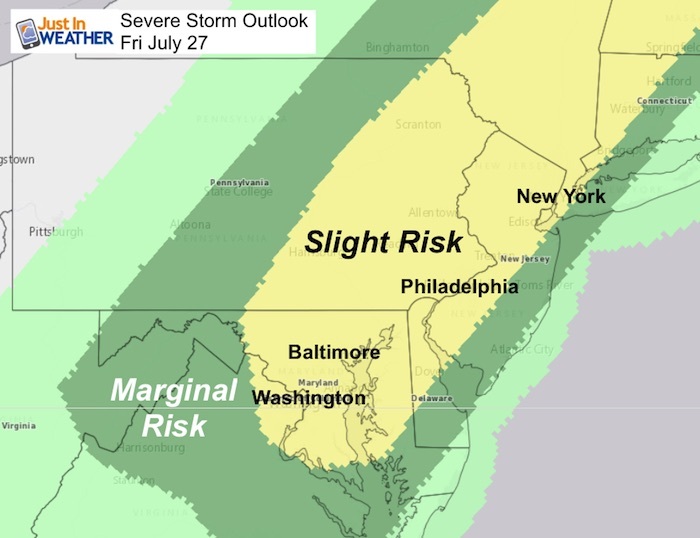 The combination of the muggy, unstable environment, recent flooding, a strong cold front, and a full moon all play into the enhanced storm risk. The eruption of storms for metro areas will be between 6 PM and 10 PM. I think we will see lots of lightning plus more flooding just because of the swollen waterways anyway and soggy soil. 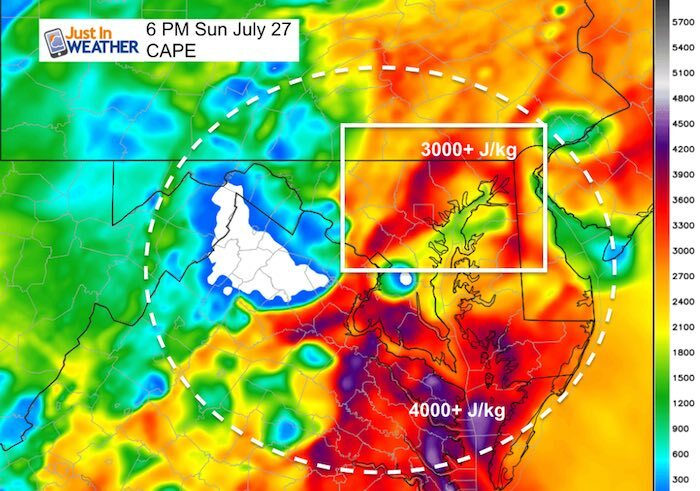 The marginal risk for severe storms appears to be validated by the latest measurement of CAPE. That is a product shown here from the HRRR model that shows how much energy is in the atmosphere available to be released. This supports wind gusts over 60 mph, possible hail and even an isolated tornado. That was all mentioned as a chance in the morning report. Lines of storms are building quickly and will arrive with the peak heat of the day. Over 1000 J/kg mean marginally unstable for strong thunderstorms with rapid updrafts that can support hail. Getting to the 3000 J/kg mark is a higher risk for severe weather. 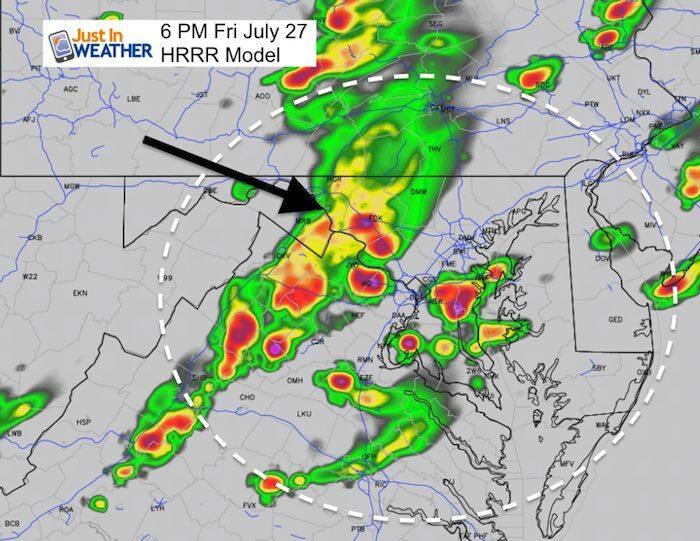 This plot from the HRRR appears to be a little high, but I would still expect lots of lightning and local flooding with storms this even… In addition to the threat for pockets of large hail. 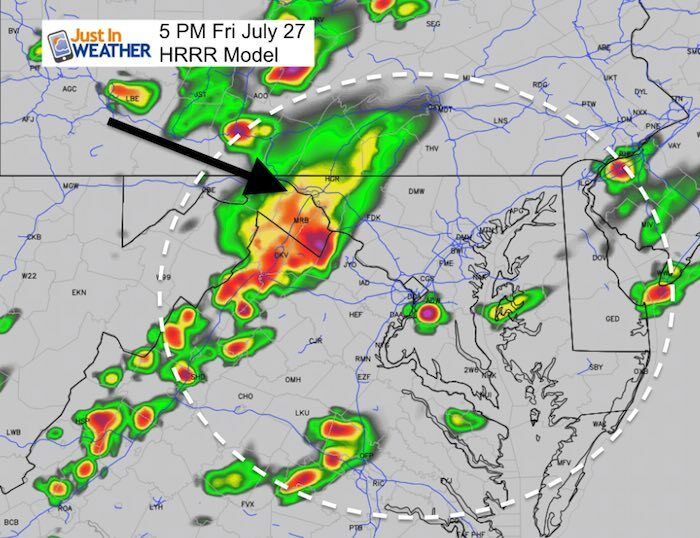 If you have plans for the Orioles game, plan for a lengthy delay as rain and lightning may linger over the city for a few hours between 7 and 9 PM.